Microsoft is contributing the designs of the cloud servers that run some of its services like Bing and Windows Azure to the Open Compute Project, in a bid to help standardize and reduce hardware costs. The Redmond, Washington, tech company is also contributing system management source code to the project. It said it aimed to create an open source software community in the Open Compute Project. By promoting its hardware specification in the data center, Microsoft could be looking for an opportunity for its server software as against Linux which has been the favorite of many Web companies. "My belief is that they are trying to have a voice in a community that they haven't had a voice before," said Patrick Moorhead, founder and president of research firm Moor Insights & Strategy. The Open Compute Project is largely geared towards open source and doing things yourself, which goes against Microsoft's business model of proprietary software and paid services, he said. By joining the Open Compute Project, it is unlikely that Microsoft will win over Web companies to its own server software, Moorhead said. The Microsoft servers offer improvements over traditional enterprise server designs, including up to 40 percent server cost savings, 15 percent power efficiency gains and 50 percent reduction in deployment and service times, Bill Laing, corporate vice president for cloud and enterprise at Microsoft, said in a blog post Monday. The server designs are also expected to be environment friendly as they reduce network cabling by 1,100 miles (1,770 kilometers) and metal by 10,000 tons across Microsoft's base of 1 million servers. Microsoft looks forward to commercial offerings in the near future from its partners who develop products for the company based on the specifications, said Kushagra Vaid, general manager for server engineering at Microsoft, in a blog post. Initiated by Facebook to drive down the cost of the hardware it uses, the Open Compute Project is a collaborative project that aims to share specifications and best practices for making hardware designs more efficient and innovative. Its goal is to develop servers and data centers following a model traditionally associated with open source software projects. The Open Compute Project Foundation has executives of tech companies like Intel and Rackspace, and user company Goldman Sachs on its board. Facebook said in August that the Open Compute Project, for example, is working on an open network switch design for Internet data centers. "The Microsoft cloud server specification essentially provides the blueprints for the datacenter servers we have designed to deliver the world's most diverse portfolio of cloud services," Laing said. 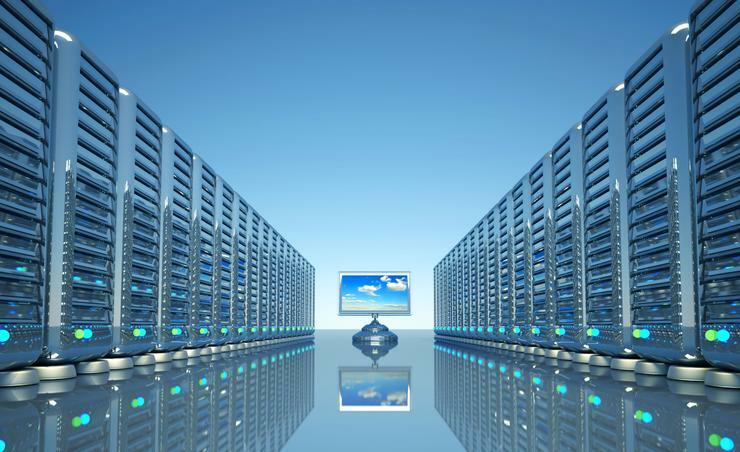 Microsoft and Facebook are the only cloud service providers to publicly release the server specifications, he added. Microsoft manages data centers with an installed base of over 1 million servers, and delivers more than 200 services for over 1 billion customers and more than 20 million businesses in over 90 markets, which requires attention to several system design principles, such as simplicity, modularity of the design and supply chain agility, Vaid said. Microsoft Open Technologies, a Microsoft subsidiary focused on open standards and open source, is also releasing an open source reference implementation of the Chassis Manager specification. The code is already available on the GitHub code-sharing repository, and offers functions such as server diagnostics, and fan and power supply control. The move by Microsoft comes ahead of a two-day Open Compute Summit in San Jose, California, that starts Tuesday. Laing is scheduled to deliver a keynote on the first day at the summit, when he will announce that Microsoft is joining the Open Compute Project. Microsoft may be joining the Open Compute Project to better understand the community ahead of Linux and the do-it-yourself mentality spreading to the enterprise market, Moorhead said. It will give the company an opportunity to better understand the way the community functions and the best practices, he added.